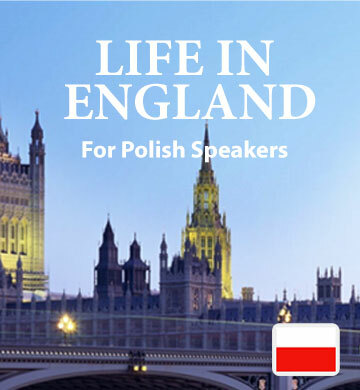 The first book in our series, “Life In England”, was designed to introduce Polish speakers to English through a series of stories inspired by real life incidents. Because of this true-to-life quality, you’ll encounter useful words and phrases in each new chapter. The combination of a downloadable ebook and audio track gives you an immersive experience of the English language The accompanying Easilang mobile app is easy and simple to use, letting you learn on the go. You may be considering moving to an English speaking country, or you may just want to visit, but whatever your motivation, you’ll gain familiarity and confidence with the language by spending time with this book.